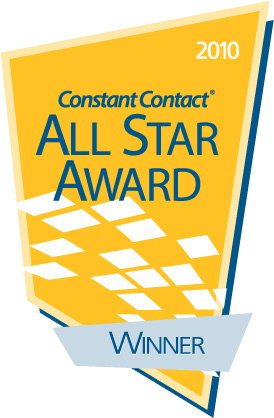 Adélie Studios, a provider of animated marketing videos and tutorial animations, has received the 2010 All Star Award from Constant Contact®, Inc., the trusted marketing advisor to more than 400,000 small organizations worldwide. Adélie Studios is one of Constant Contact’s 2010 top business partners and most prolific user of its tools, whether within Constant Contact’s email marketing, event marketing, social media marketing or survey products – or a combination of all four. Congrats to all of you hardworking folks! You certainly know what you are doing and it shows. Constant Contact made the right choice in rewarding you and I for one applaud you!